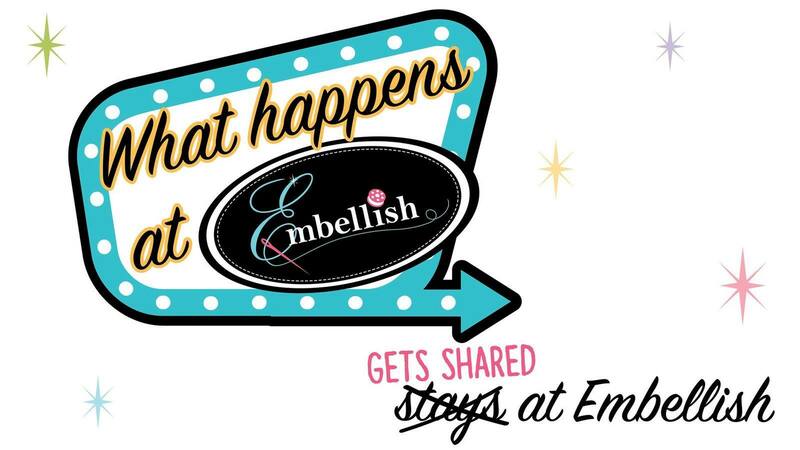 EMBELLISH STOW, SEW & GO. 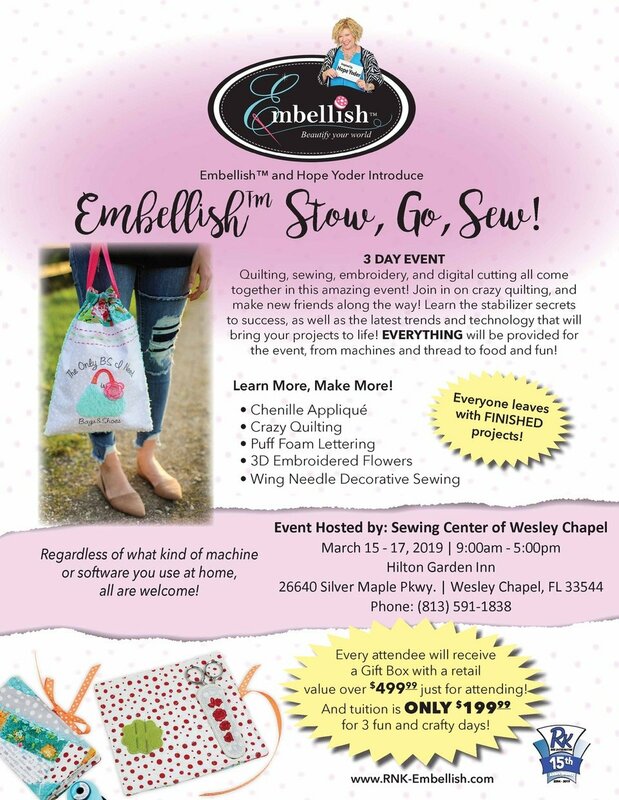 Quilting, sewing, embroidery and digital cutting all come together in this amazing event! Join in on crazy quilting, and make new friends along the way! Learn the stabilizer secrets to success, as well as the latest trends and technology that will bring your projects to life! EVERYTHING will be provided for the event, from machines and thread to food and fun!